Mieke is a qualified acupuncturist and a member of the British Acupuncture Council, the UK’s main regulatory body for the practice of traditional acupuncture. She initially trained in dance and worked for many years in dance education. Through her practice of Yoga and Tai chi she developed an interest in oriental concepts of health and medicine. Mieke started her career in complementary medicine by qualifying and and working as a Shiatsu practitioner, a Japanese form of therapeutic bodywork. Wanting to learn more about the tradtidional medicine of China and East Asia she went on to study acupuncture graduating with a degree in acupuncture from the University of Westminster in 2008. In addition to her private practice Mieke has worked in a variety of settings including at the NHS run Gateway clinc, a community acupuncture clinic treating a wide range of musculo-skeletal and chronic pain-related conditions. Other areas of clinical experience are women’s health including fertility issues and antenatal care. Following further training in Japanese acupuncture Mieke qualified as Toyohari practitioner, a form of Japanese acupuncture which uses very fine needles and gentle needle techniques including non-insertive needling. She is a member of the UK Toyohari Association and the European Branch of Toyohari Association, EBTA. 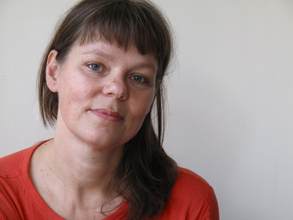 Mieke is committed to ongoing studies to further develop her knowledge and clinical skills. Please contact Mieke if you have any questions about acupuncture and how it can help you.